WAVES at the Hunter College boot camp get a chance to try out the Link Instructor first hand, c. 1943. 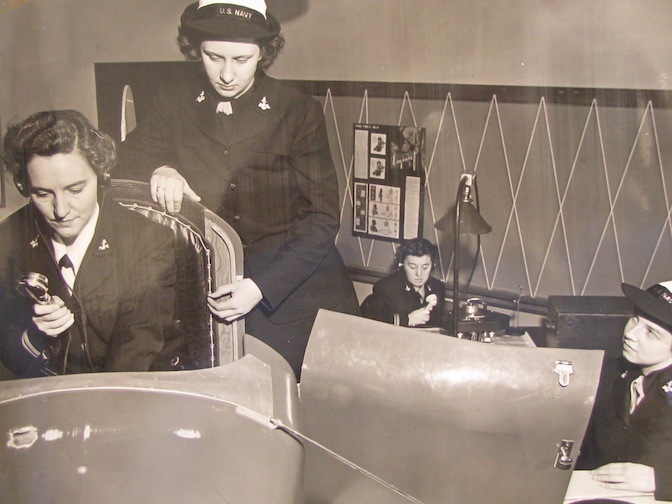 The machine was used to train pilots during World War II. In this photo, you see a WAVE in the cockpit holding a mic, and in the background a second WAVE giving her “instructions” from the controller desk. The photograph comes from the Schlesinger Library at the Radcliffe Institute for Advanced Study at Harvard University.